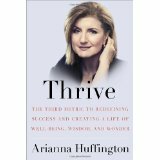 I recently began reading Arianna Huffington’s Thrive: The Third Metric to Redefining Success and Creating a Life of Well-Being, Wisdom, and Wonder. The book was a Christmas gift from my future daughter-in-law, Colleen Leddy, who had attended a Thrive workshop earlier in the year. She had texted me about her wonderful experience, and I made a mental note to buy a copy of Huffington’s book. One thing led to another, and I never placed that order. Consequently, I was really pleased when I opened the gift box and found Thrive. Since I was right in the middle of reading London by Edward Rutherfurd, a book I highly recommend to both seasoned and aspiring writers for a study of Rutherfurd’s approach to historical fiction, I couldn’t start Huffington’s book when it arrived. Over the past three days, however, I’ve read about 150 pages of Thrive, but I’ve already found so much to recommend that I thought I’d take this moment to reach out to all of you who are celebrating the beginning of the new year. For many of us the end of one year and the beginning of another is a time for reflection on what has gone before as well as what is to come in our lives. Not exactly resolution making, reflection is a way to take stock and to dream or plan. I was thinking as I read those first 150 pages that part of Huffington’s message speaks to reflection in our daily lives through the mindfulness practice she recommends. The training I received at A Healing Place in Richardson, Texas, led me to incorporate mindfulness in my daily life through the practice of meditation. Living on a mountain, isolated at 8,000 feet, for nearly nine years after my introduction to mindfulness, or awareness, made that incorporation easy. 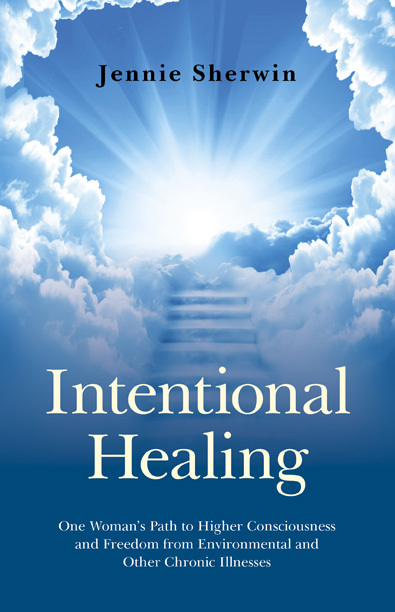 Those of you who have read my book, Intentional Healing…or have been following my blog for a while know that I attribute my full recovery from multiple chemical sensitivity (MCS) not only to treatment at Dr. William J. Rea’s clinic in Dallas but also to the spiritual healing I received from energy medicine practitioners, Navajo medicine men, and the self-care awareness and energy balancing exercises I was taught at A Healing Place. Obviously, my own experience with the health-enhancing benefits of mindfulness made me receptive to Huffington’s message that a successful life needs to be redefined from the current metric of working to career achievement through sleep deprivation and exhaustion to, instead, in the words of her subtitle, “creating a life of well-being, wisdom, and wonder.” And to make this point, Huffington backs up her recommendations with a great deal of research supporting the benefits of mindfulness, not just to us but to the organizations, businesses, and institutions for which we work. The data are convincing. I highly recommend you read Thrive. What is mindfulness? If you’re new to the concept of mindfulness, you can think of it as paying attention to who you are and how you feel in the moment. It is as simple as paying attention to what you are eating and how you are eating it. A friend of mine attended a Natalie Goldberg writing workshop in France this past summer, where mindfulness was incorporated into every activity and task during the program. Eating in silence with mindfulness, paying attention to the scents of the foods, noticing how they felt on several levels as they chewed, allowed the writer participants to open their focus and their ability to write about the experience. Did I mention that they also had to be unplugged from social media—no smart phones, tablets, or computers except for a brief window each day? Something Huffington would have applauded. Deborah Singleton, founder of A Healing Place, taught me that breath and thought are the two most important tools to enhance wellness in the bodymindspirit. 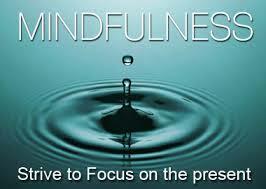 Huffington has incorporated both of these tools in her approach to a successful life, one that is balanced between the planning and execution of tasks in the workplace and at home with living in the moment, which is what mindfulness is all about. You can take the first step toward cultivating mindfulness by focusing on your breath. As I was taught at A Healing Place, breathe in through your nose and out through your mouth slowly. Think of letting go of all that does not serve you. And relax. Feel into every part of you—head, mouth, nose, throat, shoulders, arms, hands, torso, legs, and feet— as you sit in a chair with your feet on the floor. Focus on your feet. Think: I let it all go. This is something you can do in the middle of your work day right at your desk. Even one minute in this focus will enhance health and improve concentration. If you’re fortunate to be working at one of the companies mentioned in Thrive that provides meditation classes or quiet rooms for mindfulness, then spend a few minutes bringing yourself into balance by de-stressing through breathing. Enter the quiet room. Sit in a comfortable chair with your feet on the floor. Close your eyes and imagine yourself in one of your favorite places. Is it in a garden? At the seashore? By a lake? On a mountain top? Notice your surroundings in your sacred space. Feel a soft breeze on your face. Experience the warmth of the sun. Take a deep breath in through your nose and gently blow it out through your mouth. Feel your breath move from the top of your head through your body and into your feet. Send your breath from your feet into the floor below and down into the earth. Don’t worry about what floor you are on. Just see and feel your breath moving through those floors and into the earth. Feel your connection with the earth. Notice areas of tension in your body. Breathe through those parts of you and think: I let all tension go. Feel it move into your feet and down into the earth. When you feel relaxed, gently bring your focus back to your breath as you leave your visit to your favorite place. Within yourself, express gratitude for your moment in your sacred space. Remember that you can return there whenever you want. When you are ready, open your eyes. Nurture your body with a cool glass of water and a healthful snack such as fruit or nuts. You will return to your tasks refreshed. Every day take a few minutes to be in the moment, noticing how you feel and relaxing the tension in your body through breathing. Over time, this refreshing break will develop into an automatic reflex that kicks in when you are feeling stressed. As you continue to practice mindfulness, your awareness of who you are in any moment will enhance your health and allow you to see other people in a more compassionate light. The benefits for you, your employer, and the world at large will grow and grow. My thanks to Google Free Images for the wonderful visuals in this post. Someone asked me the other day how I was able to follow energy flows in my body. My answer was that I could feel energy and sense if it was flowing in a certain direction. Although that seemed to satisfy my questioner, it made me think about my journey toward becoming energy sensitive. As with others before me, I came to energy sensitivity through what seemed like an endless spiral of illnesses that appeared to culminate in sensitivity to electromagnetic fields, causing me indescribable pain. For those of my readers who are scratching their heads and wondering what sensitivity to electromagnetic fields is, here is a very brief primer. So-called EMF sensitivity is a change in perception. Whereas most people can use iPhones, computers, tablets, televisions, telephones, and be near running appliances and high-voltage wires without perceiving the EMFs that radiate from these devices, people with EMF sensitivity cannot be within seven to ten feet of one of theses devices or, in some cases of higher EMF emissions such as from a cell phone tower, within a quarter mile or more of the emissions without experiencing acute pain. An EMF-sensitive person feels or perceives the energy from EMF-radiant devices as pain in the body, and many times the emissions precipitate brain fog and confusion, shaking, tremors, tachycardia, immune system effects, and more. I have known some EMF-sensitive people who experienced these sensations at even greater distances than what is described above. 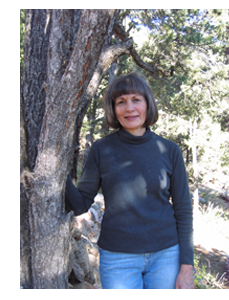 Luckily, when my perception to electromagnetic fields changed, I was referred to Deborah Singleton, founder of A Healing Place, and her team of energy medicine practitioners. Through their guidance, I learned to work with my energy flows so that I could release from my energy fields the EMF emissions that had become perceptible to me and, thus, stop the pain of the exposure. 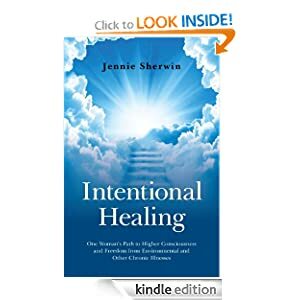 I outlined this coaching and my recovery in Intentional Healing: One Woman’s Path to Higher Consciousness and Freedom from Environmental and Other Chronic Illnesses. In the end, what began as a disability turned into a tool for sensing energy. 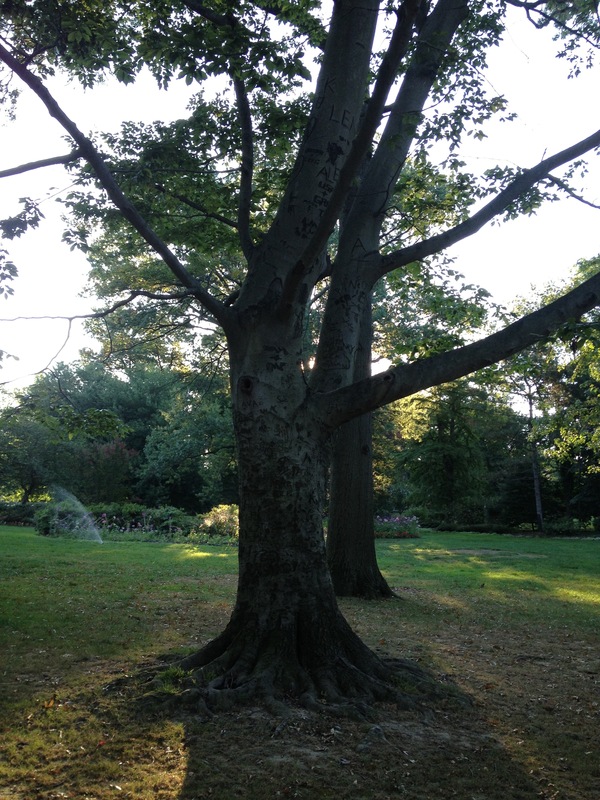 Check the end of this post for a grounding and releasing exercise for an EMF exposure. Please share it with someone who has EMF sensitivity and cannot use a computer. Not all people who sense energy flows, however, develop this new perception through illness. Sensitivity to energy can be learned in a gentle way through meditation and coaching. Energy medicine practitioners are sensitive to energy, but anyone who wants to enhance the body’s natural healing processes can learn to be aware of and follow energy flows in the bodymindspirit. As Deborah Singleton taught me, energy responds to breath and thought. Enhancing your body’s natural healing processes by keeping your energy open and flowing is as easy as breathing and thinking (visualizing or using your imagination to see your breath moving through your body). Let’s try this easy exercise. Use your imagination to “see” a cone of white light radiating from several feet above your head and into your crown. While inhaling through your nose, “see” the light move into your body–through your head, into your trunk, and down into your legs, pooling in your feet. When you exhale gently through your mouth, “see” the white light move into the earth and down to the earth’s core, or center. Let your light connect with the light you “see” in the core; color doesn’t matter. It could be Kelly green, fire engine red, lemon yellow, sky blue, lavender, purple, gold, silver, indigo, and various shades of the primary colors. Then inhale deeply through your nose, “seeing” the light come up into your feet. While exhaling through your mouth, “see” the light move up your legs, through your trunk, into your head , and out your crown. That light will join the light that circulates naturally around your body. To see the cone of light above your head, watching it as it enters your body and goes to your feet, is to see the first or primary flow. The primary flow feeds all of the flows in the bodymindspirit. The second flow runs in opposite directions for women and men. In women the second flow begins in the bottom of the right foot, travels up the right leg, trunk, arm, neck and into and around the right side of the head, flows over the crown, and descends down the left side of the head, neck, arm, trunk, and leg into the left foot, joining the flow that begins in the right foot. Its trajectory is oval, and it is also thought of as the “oval flow.” In men the second or oval flow starts in the bottom of the left foot, travels up the left leg, trunk, arm, neck and into and around the left side of the head, flows over the crown, and descends down the right side of the head, neck, arm, trunk, and leg into the right foot, joining the flow that begins in the left foot. Let’s try a breathing and “seeing” exercise for the second flow. See the light that begins in the bottom of your foot (right for women and left for men). As you inhale deeply through your nose, see the light move up your leg, into your trunk, arm, neck and the side of your head to the top of your head. As you exhale through your mouth, see the light descend down the side of your head, through your arm, trunk, leg, and into your foot and “watch” as it joins the flow in your opposite foot. “Watch” the flow circulate for three cycles as you breathe in through your nose and exhale, blowing out through your mouth. The third flow is the circular flow. Visualize a hula hoop of white light moving clockwise around your body. 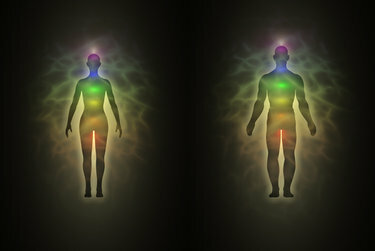 A healthy third flow can be seen or sensed as a fast-moving cylindrical column of light around your body. 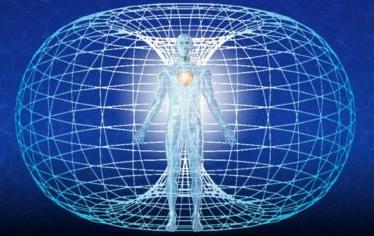 When you breathe light up from the earth, it travels up the body and out the head, joining the circular flow. The fourth flow is the spinal flow that begins at the base of the spine, travels up the back of the spine, over the head, and down the front of the spine, mingling with and feeding each chakra. As you advance in understanding the flows, the fourth flow will be understood in a different way. For now, however, thinking of it in this way is a good start. Let’s use some of this new understanding of flows to release an EMF exposure. Stand on the earth wearing leather(not rubber)-soled shoes (protection for beginners, this requirement can change later with proficiency) or remove shoes and stand on the floor in your home. Whether you are outside or inside, position yourself where you can see a clock. See a cone of light above your head. 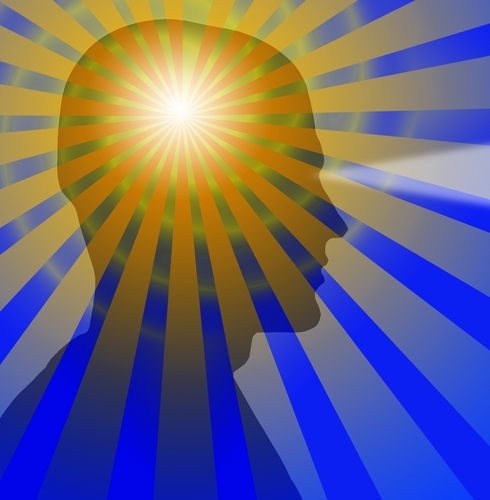 While inhaling through your nose, “see” (visualize or imagine you see) the light move into your head and through your body to your feet creating pools of light. While exhaling through your mouth, “see” the light move into the earth, and with a thought send the light to the core of the earth. Join your light to light you “see” in the core. For beginners, it is easiest to use Kelly green, a deep rich green the color of grass, the color of an emerald. Inhale, bringing that green light up from the core to your feet. As you exhale through your nose gently, “see” the green light move through your body and out the top of your head. Imagine yourself as a fountain spouting green water or think of yourself as the Jolly Green Giant. These were images Deborah suggested. For me, they were effective. You may feel tingling in your feet, a good sign that you are grounding. Don’t worry if you feel nothing. That sensitivity may come later. Now focus on your circular flow. See it moving around your body in clockwise motion. With a thought stop the flow (Just think: Stop! Reverse!) and send it counter-clockwise. Look at your clock. Let the circular flow move in reverse for no more than two minutes the first time you try this exercise. Later, you can let the reverse flow continue for up to three minutes. Never longer! As this flow reverses, you may feel a pins and needles sensation. That is to be expected if you are sensitive. You are releasing EMF emissions that have pierced your perception. Think: I let the EMF go. At the end of two minutes, or three if this is not the first time, with a thought stop the flow (Just think: Stop! Return to clockwise movement.) and send it back to clockwise rotation. Watch this flow, now clockwise, for one minute. You want to make sure that the flow is steady. Ground yourself, that is, connect your energies to the earth as described above. Then think: I am grounded. I close myself to all but my highest truth. All of the energy-balancing exercises I learned at A Healing Place helped me when I was recovering from multiple chemical sensitivity, but the above EMF-clearing exercise saved my sanity while I was at the height of EMF sensitivity. If you had EMF sensitivity and you have recovered, what helped you? Please share your story by leaving a comment. If you still have EMF sensitivity, what do you do to help yourself? I invite you as well to leave a comment. February 2014 marks the 50th Anniversary of Proclamation 3566, a document signed by President Lyndon Baines Johnson designating February as American Heart Month, which succeeding presidents have signed every year since. The American Heart Association, the Centers for Disease Control and Prevention, and the National Heart, Lung, and Blood Institute, active advocates for heart health, feature heart health information on their websites year round. Since the beginning of the month, the AHA has sponsored heart health workshops and held events to raise funds for continued research into the number one killer of men and women in the U.S. While we can’t change our genes, we can take charge of our heart health through the choices we make. We can choose what I call the joyful heart lifestyle. The joyful heart lifestyle supports the bodymindspirit in its wholeness and includes a Mediterranean diet, regular exercise, medication–if prescribed by a physician, meditation for profound relaxation, and a heart-centered approach to ourselves, the people in our lives, the work we do, and the communities in which we live. The Mediterranean diet has been in the news lately, since research has shown that it reduces the risk of heart disease. Incorporating whole grains, nuts, vegetables, fruit, olive oil, spices instead of salt, fish, and chicken, it provides a wide range of foods that can delight the senses and the spirit. Especially if you bring to food preparation the wisdom of my Italian grandmother, Jennie, for whom I was named. I would sit in her kitchen as a little girl and watch her prepare meals. One of the first lessons she taught me in her halting English was this: “the finger…puts the love into the food. Don’t be afraid to use your hands.” And my grandmother demonstrated by rubbing a bowl with love to receive the ingredients she had chopped for the salad she was preparing for dinner that night. She would remove the outer covering of a garlic clove, cut the clove in half, and then, cut side down, rub the clove all over the salad bowl until every inch had been covered. 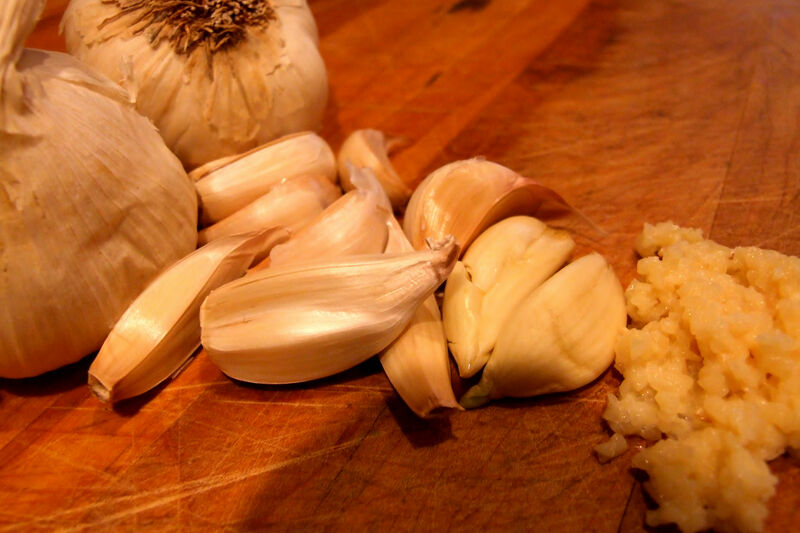 My grandfather, Adamo, liked the taste of garlic, but he didn’t like to eat the clove. Every time my grandmother prepared food for him, she incorporated a little act of love. 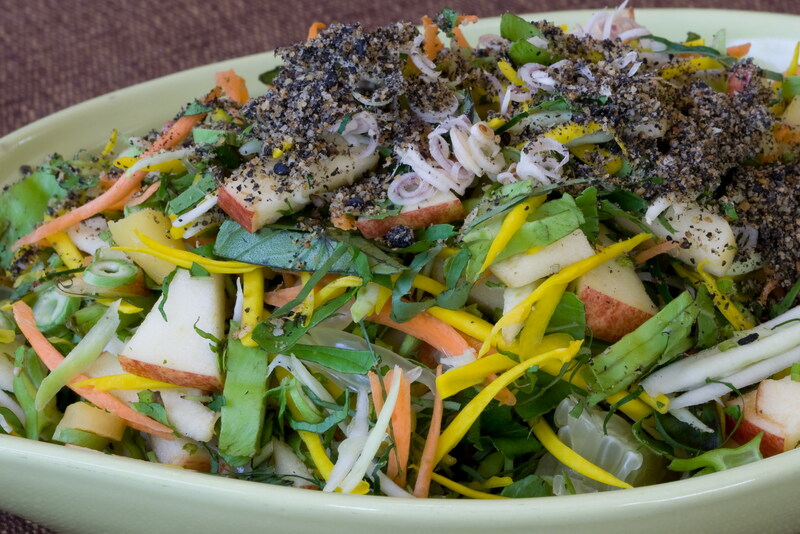 And, of course, she was serving both him and their family a salad, prepared in the Mediterranean style with olive oil and vinegar, a dressing which has been recognized to be part of a heart healthy diet. Not everything my grandmother cooked was heart healthy, given her southern Italian heritage. Several of those dishes, including mouth-watering chicken parmesan and its eggplant counterpart, begin with breading and frying, and frying needs to be kept to a minimum or not used at all in a heart-healthy diet. The basics of healthy eating, however, were there in my grandmother’s approach to food for following generations to cull. Over the years, I’ve modified many of the dishes I learned at my grandmother’s side with, according to my husband, more than successful results. I’ll be sharing those recipes from time to time, including one at the end of this post, so check back for updates. Incorporating regular exercise routines into our daily lives has been shown to have benefits for the cardiovascular system. You can think of it this way: since the heart is a muscle, it will benefit from staying fit. Exercise increases the heart rate and makes the heart work harder, thus increasing its capacity for work. It may also have some benefits for the aging brain. Studies have shown that exercise can increase the production of brain cells, as reported by Gretchen Reynolds in an article in the New York Times, April 18, 2012, to mention only one of numerous articles reporting this benefit. However, if you are thinking of starting a regular exercise program, the most important thing you can do to protect your heart and brain is to consult your doctor to see which kind of exercise program is right for you, especially if there is a history of heart disease or stroke in your family. Sometimes your doctor will prescribe medication for you to control high blood pressure, one of the risk factors for heart attack, stroke, and much more. The Mayo Clinic’s website on the dangers of high blood pressure provides clear information on just what can result without treatment. I know from speaking to many physicians and from firsthand experience that taking medication daily can greatly improve the health outlook for someone with high blood pressure. Don’t be discouraged if the first medication you try doesn’t agree with you. 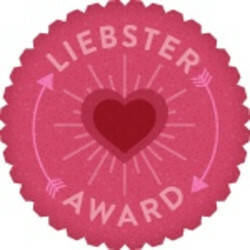 I had to try several medications before finding one that controlled my blood pressure without intolerable side effects. 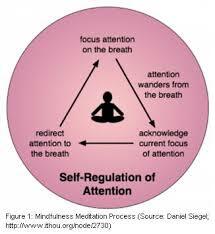 Meditation can induce profound relaxation of bodymindspirit. Meditation, as I’ve pointed out in previous posts, can be as simple as closing your eyes and breathing from the top of your head to the bottoms of your feet while visualizing light moving through your body and into the earth. These seconds-long visualizations keep you in touch with the primary flow of energy that nourishes the human energy system and moves from the spine through meridians to every cell in the body. Free flow of energy supports the natural healing and regenerative processes in the bodymindspirit and is the focus of practitioners of acupuncture and energy balancing. Meditation with visualization is an easy introduction to stillness meditations, which can be frustrating and sometimes intimidating, and breath work with color visualization is the easiest of all. Sit in a comfortable chair with your hands resting in your lap, palms turned up. Imagine a light above your head and while inhaling see that light enter your body and move through to your feet. While exhaling, see the light pool in your feet and send roots of light deeply into the earth until your light reaches a place of great light. You may see this place as a cave of light crystals or a garden of light. Look around this place of light until you see a source of red light. Connect your light to that red light. While inhaling, see the red light move through your roots of light and into your feet. While exhaling, see the red light move into your root chakra, coming up your legs as well, into your body and out the top of your head. Inhale again, and while exhaling see the light in your aura all around you and expand your light six to eight feet. Now see yourself in a cocoon of red light. You have grounded your energies, one of the first steps in balancing your energy system, and you have supported your root chakra. You can continue working with color, moving through each chakra in turn. See my earlier blog on color meditations. A heart-centered approach to ourselves means knowing when to say no when demands of family or work begin to overwhelm our ability to give from the heart. Love needs to inform everything we do in life, whether it is writing to inform or persuade, relating to those with whom we think we have little in common, coping with a fussy child or an angry partner, or healing on many levels. The key is learning to love ourselves so that we can truly love others. That may mean setting boundaries to protect our energy levels when people ask too much of us. If we give more than what is comfortable for us to give, whether to family, work, or community, then love turns to resentment, and resentment harms both the giver and the receiver. As February ends and March begins, the lessons of the joyful heart lifestyle can inform this next month and every month of the year. Adopt a heart-healthy diet and an exercise program (after consulting your physician), take medication if prescribed for you, meditate a few seconds daily and longer weekly, and approach the people in your life through your heart. Your heart will love you. Disclaimer: All healing paths, while they share certain things in common, are unique to the individual. Nothing I write in my blogs should be construed as medical advice. All decisions about physical and mental health should be made in consultation with your physician or other licensed or certified health care practitioner. Place above ingredients into a blender. Mix for at least 12 seconds. Then liquefy for an additional 12 seconds. Adjust ingredients to taste. This recipe eliminates animal fat, thus the absence of cheese, which is a standard ingredient in a pesto sauce. This sauce can be used on pasta, baked potatoes, chicken, and fish or used as a dipping sauce for Italian or French bread. Remember that a little goes a long way. Both walnuts and olive oil have high caloric counts per tablespoon, but are high in monounsaturated fats, which are heart healthy. Buon Appetito! I was talking to one of my spiritual mentors this morning about anger that I had just recognized and knew I needed to let go. Although I had been thinking about the people and the circumstances involved for a few weeks and meditating for clarity, I still hadn’t put my finger on what I needed to understand in order to let go of it all. And, of course, my mentor got right to the heart of the matter: I really needed to look within. 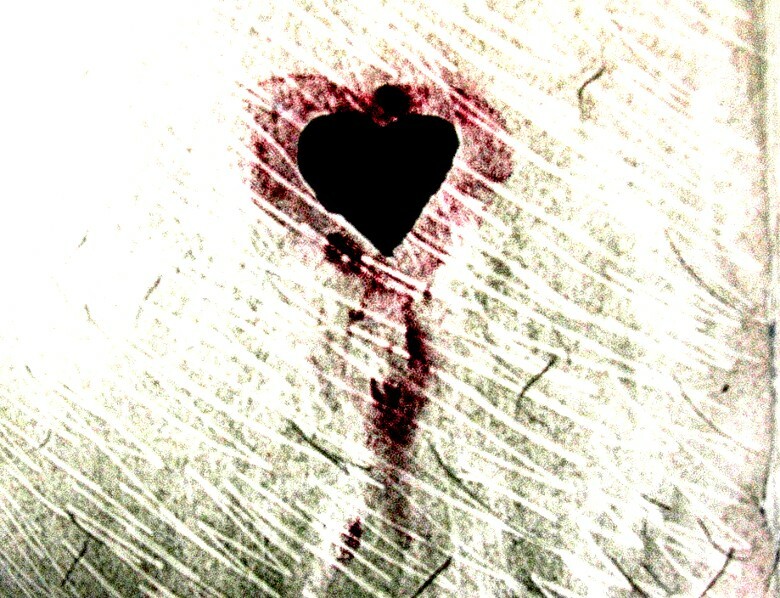 Not at the other people involved, but within me, within my heart. 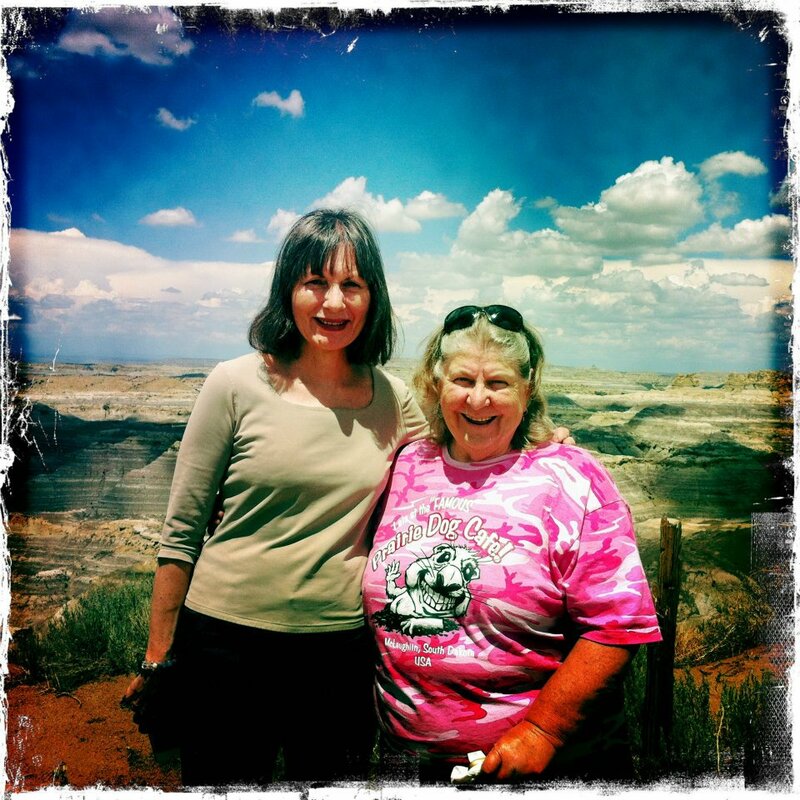 My heart had led me to recognize my need to be on the East Coast and not in Santa Fe in the isolated mountain home that had helped both me and my husband, Roger, to recover from environmental illness. The pull toward Santa Fe in 2003 had been so strong, but the pull toward Baltimore in 2012 had been even stronger. When I felt the call from the heart, I asked Roger what he thought about the idea of returning to Maryland. He loved the idea, and although we were dealing with the several emergencies that needed our attention in Baltimore, we turned our eyes toward Baltimore, not knowing how we would return to Santa Fe to pack up, sell our property, and move our cat, Emma, who was being cared for by our wonderful pet/house sitter. As was demonstrated so clearly to us, however, when you follow your heart, events fall into place in a way impossible to plan. Our pet/house sitter offered to pack up our house for us while caring for Emma, and the contractor who had renovated a deck porch on the south side of the house carted the boxes to a storage unit in Santa Fe while the packing was ongoing. When all was ready, he drove our possessions and Emma to Baltimore. Our possessions went into storage, and Emma came with us. For nine months we lived in a rented corporate apartment while we looked for a new home. Having lived in a rural setting on a mountain top in Santa Fe, we looked for a similar setting in Baltimore. We realized, however, that we had reached that time in our lives when we needed to downsize. Instead of another house, we looked for a condominium. Not one but two contracts on condominiums in wooded areas fell through, and we widened our search to include more urban settings. Just when we thought we’d never find anything we liked, our realtor arranged for us to look at condominiums near the Homewood campus of Johns Hopkins University. Located in the Tuscany Canterbury section of Baltimore, the Residences at the Colonnade offered us the conveniences of city living only a half block from a wooded area of town within walking distance of Stony Brook Run, two parks, and Sherwood Gardens, a beautifully maintained garden open to the public. Having lived so close to the earth in Santa Fe, I knew I needed to be near trees and gardens so I could walk on the earth. 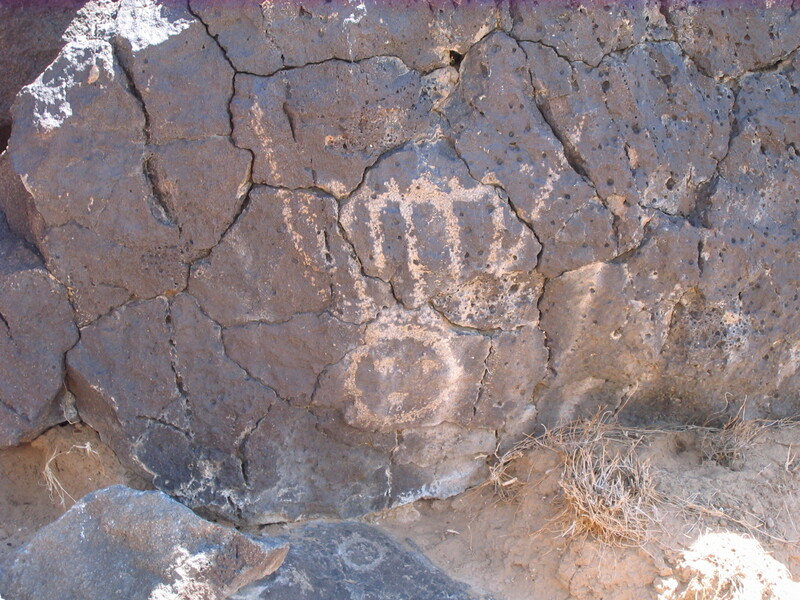 Native American cultures think of human beings as “earth walkers,” and after our nearly nine years on the mountain with almost daily hiking to my meditations spots, I had surely become a full-fledged earth walker. We are settled in our new home, and what helped get us to this point, had we tried to plan it all, might never have materialized. So, too, with all of the changes and moves we have made in our life together. I have seen what some might call “serendipity” operating in other people’s lives as well. For those of us on a spiritual path, however, “serendipity” is the Universe reaching out to us, calling us to follow our hearts in order to experience what we have come to earth to experience. How many times have you had everything fall into place when you have followed your heart’s desire in the face of steep odds or challenges? The earth and humanity are in a time of transformation. As many spiritual teachers around the world have been telling us, our universe is now moving from a third-chakra orientation concerned with will and will power to a fourth-chakra orientation focused on living from our hearts. This massive shift in energies has brought with it upheaval and strife in lives, weather, communities, and nations. Self-interest and fear of loss, stemming from a third-chakra mindset, struggle for survival against the spirit of change now sweeping the world. The struggle to maintain the status quo with its illusion of separateness from the soul and God will eventually yield to the call from our hearts, where separateness from each other, from the earth, and from every other sentient being, is a dim memory. The spirit of change can now be felt in many areas of society. Wherever grassroots organizations spring up to support those in need, to bring about new laws that recognize the rights of men, women, and children to live in sustaining and sustainable environments free of toxic exposure on every level—physical, emotional, mental, and spiritual, heart-centered living has grown and taken root. Where will you stand when the energies shift? With those struggling to live in will-centeredness with fear and separation or with those flowing easily into a new paradigm of love and unity? The choice is yours. One of the questions I am asked most often is this: What did you do to help yourself recover from environmental illness? 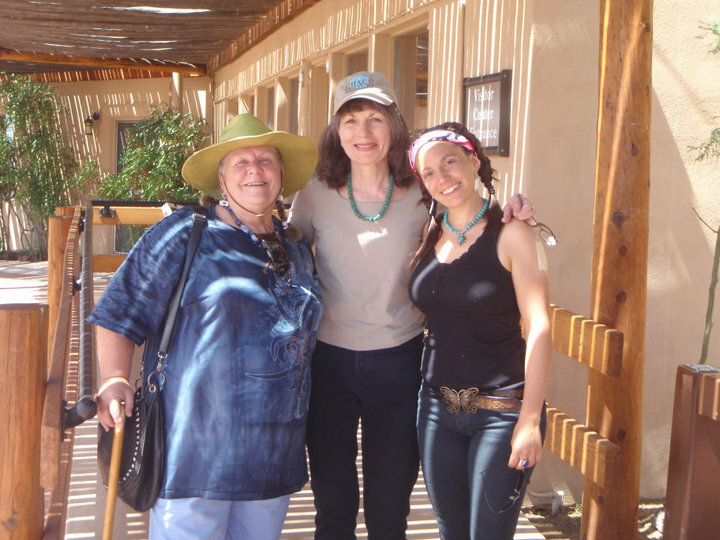 Although I benefited from several therapies, the two I credit with putting me on the path to recovery are treatment at the Environmental Health Center-Dallas, founded by Dr. William J Rea, and energy balancing at A Healing Place, founded by Deborah Singleton. For me, this combination of traditional Western medicine and energy medicine was most effective. As I reiterate in author talks, healing paths are individual. What worked for me might not work for someone else. 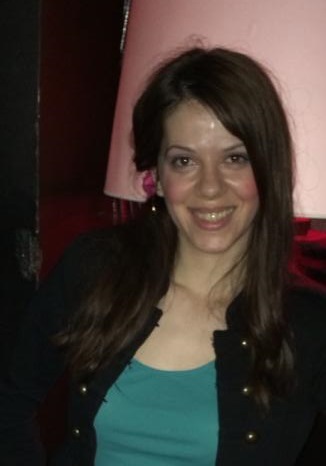 I share my story to let people with environmental illness/multiple chemical sensitivity know that recovery is possible. In my blogs I share some of the meditations and visualizations I learned to keep myself energetically balanced in order to support the natural healing processes of my bodymindspirit. Anyone can enhance health and vitality by taking a few minutes each day to strengthen his or her energy system by supporting the chakras, or main vortices of energy that are located along the spine. Consider the following. Are you a green person or a blue person? Do you wear red, or does the color yellow predominate in your wardrobe? The last time you bought a tie, were you surprised the tie that caught your attention was purple and you owned nothing purple? Do you have days when the only color that appeals to you is sky blue and you absolutely must wear it? The bodymindspirit has a subtle way of telling us what we need to bring ourselves into balance. Often, when we have a compulsion to wear a certain color, we are receiving a message that the chakra in which that color predominates needs a little support. If, for instance, one morning you are drawn to wear red, your root chakra might be asking for attention. If, however, you are drawn to wear yellow, your solar plexus might be speaking to you. Let’s review the colors of the chakras and issues typically associated with them. We need to be aware, however, before beginning this review, that although we think of certain issues as being associated with individual chakras, issues, events, and emotional states have system-wide effects. Every component of the energy system is connected to every other component. 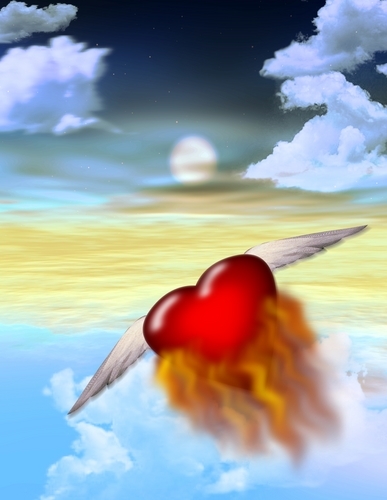 If a practitioner tells you, for example, that you are holding sorrow in your heart, he or she might be sensing an energy block affecting the flow of energies into and out of the heart chakra or receiving information about the loss of someone dear to you that is manifesting in the heart. Nevertheless, the flow into and around your other chakras and through the major and minor flows in your body will also be affected, as will the quality of your energy bodies. 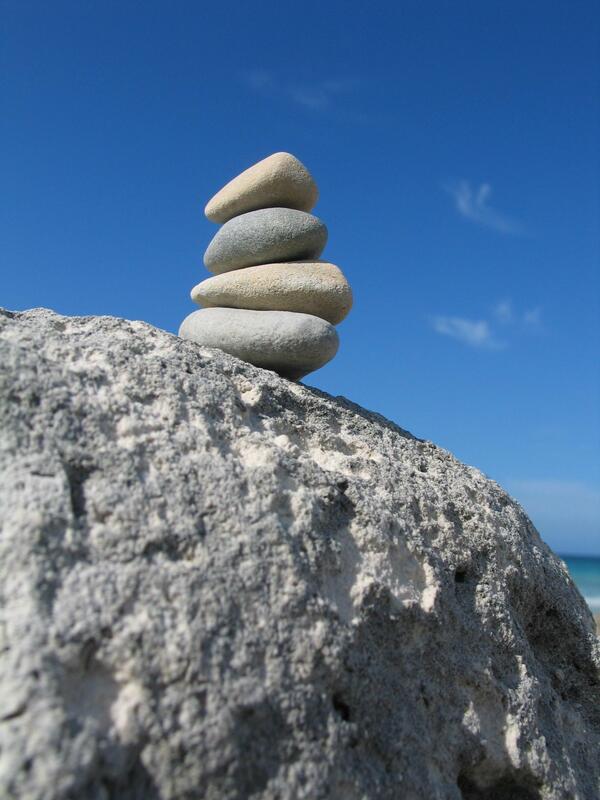 Anything that leads to imbalance affects all of you. Armed with this information, we can now look at the individual chakras. In the first, or root, chakra the color red predominates. Issues associated with this chakra include personal safety, personality stability, and groundedness. I’m sure you’ve heard someone you know referred to as “flighty” or “not grounded.” An energy practitioner might see or sense this ungroundedness in the flows into and out of the root chakra, or detect damage to the root chakra from past events. For instance, if your parents did not provide a safe environment for you when you were a child, there might be structural issues that need addressing. Again, these issues, arising from life events, have widespread effects on the bodymindspirit and will have played a part in shaping how you see the world and how you relate to everything on it and in it, including people, places, energies, and every manner of creature within your environment. The second chakra, or sacrum, is thought of as the governing chakra of sexuality and creativity—from the creation of new life in the womb to the creation of characters on a page, a work of art, or a movement in a symphony. The predominant color of the sacrum is orange, but as with all the chakras, many colors, representing different energies and states, can appear in the sacrum. It is here that information comes forward quite often about your relationship with your mother or father, your partner, or your child. Structural anomalies or blockages in the sacrum typically affect your attitudes toward sexuality and govern how you relate to your sexual partners. They can also block creative flow. Often, so called writer’s block can be traced to changes in flow into the sacrum. 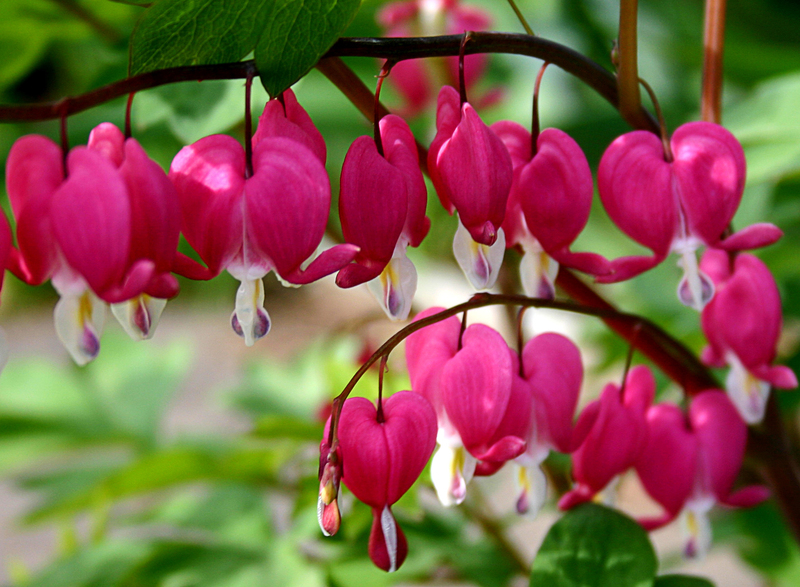 The fourth, or heart, chakra is the center of the chakra system and the repository of love. 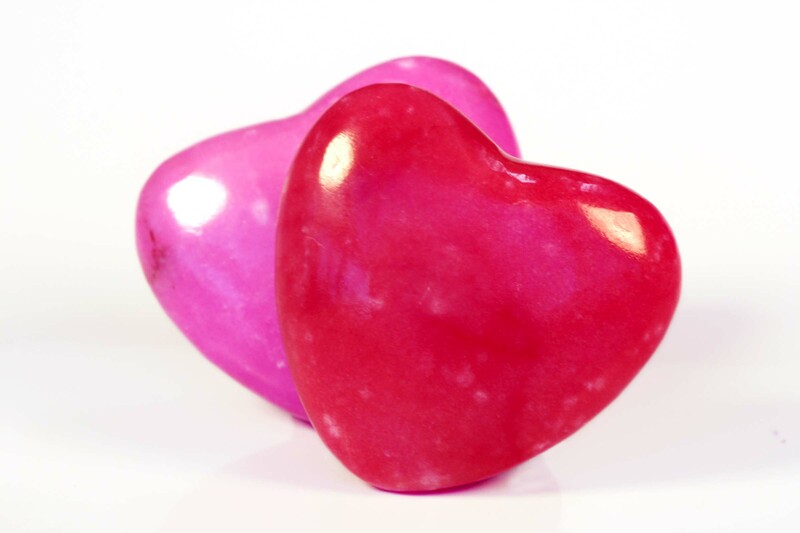 Kelly green is the color of the heart chakra, but rose pink can predominate when we experience love. Feelings toward others, as well as feelings toward ourselves, move through this chakra and are modulated by this chakra. The heart chakra is the brain of the spiritual self. Thinking with one’s heart and not one’s head is often thought to originate in the authentic self or soul. The heart chakra serves as a transmitting station between the lower chakras (one, two, and three) and the upper chakras (five, six, and seven). Let’s pause for a minute at the terms “lower” and “upper.” Some people mistakenly believe that the upper chakras are somehow superior to the lower and that the goal of spiritual growth is to process through the lower chakras in order to focus and remain in the upper chakras. Nothing could be further from the truth. Each chakra serves an important function within the chakra system, and spiritual growth is facilitated through each chakra. If you attempt to live only through the upper chakras, you create an imbalance that can impede growth and health. 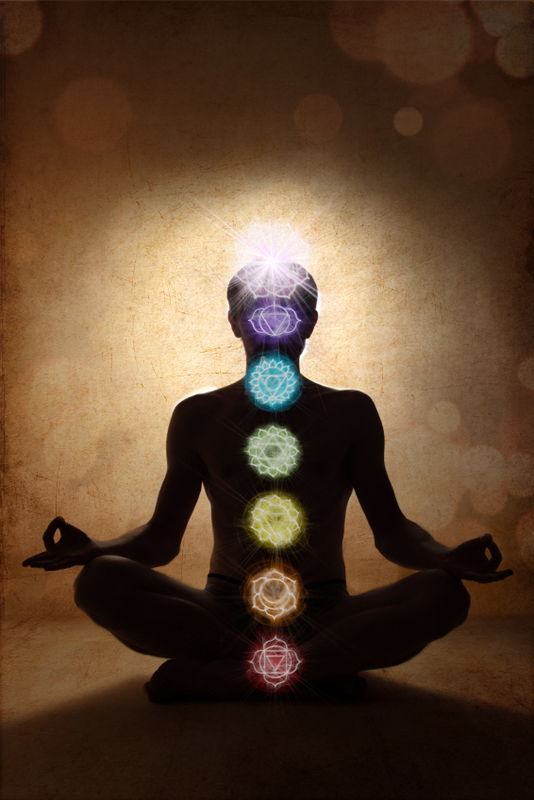 Through the fifth, or throat, chakra we speak our truth. Sky blue predominates. Issues related to shyness, ability to present ourselves and our needs, in fact, most presentation skills, are associated with the fifth chakra. If you have difficulties speaking before an audience or you’ve been told many times that you need to speak up for yourself, then you may be dealing with what Anodea Judith in Eastern Body, Western Mind: Psychology and the Chakra System as a Path to the Self terms a deficit in the fifth chakra. If people find it hard to be in your company because you are a non-stop talker and carry on incessantly about things that irritate you or just tend to dominate the setting you occupy, then you might be dealing with what she deems an excess in this chakra. Of course, these issues relate to every chakra, in particular the solar plexus, and are tied to questions of will and dominance. The sixth chakra, or third eye, has traditionally been thought of as the portal to inner vision and communication with other dimensions, the spirit realm, and the soul. This traditional view has been expanded to include the understanding that head and heart communicate, and as they become conjoined more closely, communication centers in the heart. The predominant color is indigo that is infused, as are all the chakras, with great light. The third eye is the conduit that taps into Source for the great ideas that have moved mankind forward in every field. It is through this chakra, therefore, that we can fall prey to hubris unless our head and heart are in balance. The seventh, or crown, chakra is our connection to God and Spirit. The predominant color is white moving toward lavender, and the light of this chakra reaches up into the heavens. It is the conduit of the energy source that constitutes the primal flow through the body and into the earth, illustrating the dictum “as above, so below.” Balance in this chakra is essential for groundedness and, of course, for balance in all of the chakras. 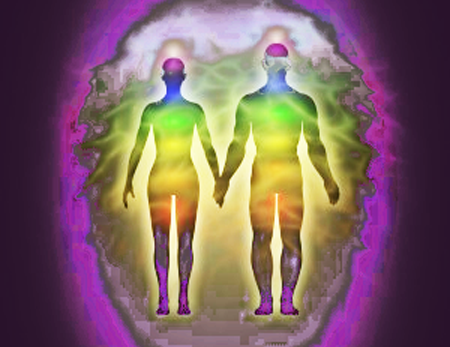 We are said to have our meetings with our guides through the crown chakra, and those who experience NDEs (near-death experiences) tell of hovering above their bodies and observing the efforts of rescue workers and physicians to bring them back to life. Color meditations support the chakras in several ways. First, by focusing on a particular chakra we increase its power through the universal law that we give energy to the object of our focus. Second, when we work with the dominant color of a chakra we reinforce the vibration of that chakra since each color has a unique vibration that corresponds to the vibratory pattern of the chakra. All meditation sessions begin with grounding. Sit in a comfortable chair with your feet on the floor. Remove your shoes and wiggle your toes. Picture a cone of white light above your head. Take a deep breath in through your nose. 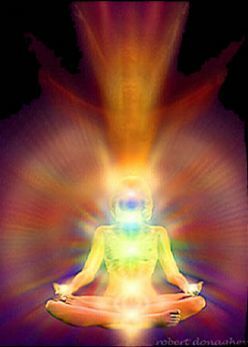 As you inhale, visualize the light moving through your head and body to your feet. See your feet become pools of light. Watch these pools expand around your feet. 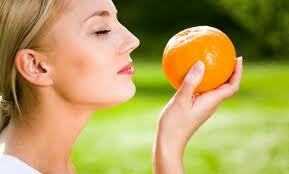 As you exhale slowly through your mouth as if blowing out a candle, send the light deep into Mother Earth. Breathe normally. Choose a destination. You can see yourself in a garden, by the seashore, in the mountains or woods. If you choose woods, for instance, allow the woods to unfold in your imagination. Do you see a path of light? Follow that path to an opening. What do you see? A waterfall? A pool of water? What color predominates? Red? Green? Yellow? Whatever color you see, let the color speak to you. If it is green, for example, your heart chakra may need support. Walk into the gentle waterfall or pool of green light. Allow your bodymindspirit to soak in this color. Place your right hand over your heart chakra. Breathe the color into your heart chakra and out again. Can you feel tingling or pulsing from your heart chakra? If you don’t feel tingling or pulsing, let it go and move on. If you feel something, remember that feeling. You are sensing the flow through your authentic self. You can continue to explore the woods for other colors or choose to end your session and return. When it is time to return, see yourself walk back down the path to where you started. Breathe in through your nose and slowly out through your mouth as if blowing out a candle. Wiggle your toes and fingers. Slowly return to yourself. As you continue your meditation practice, awareness grows and opens you to your bodymindspirit, an essential part of expanding your consciousness. The benefits of color meditations, therefore, are several: increase in the power of the chakras through focus, reinforcement of the vibration of each chakra through connection with the vibration of its color, support of the natural healing processes in the body through deep relaxation and balance of flow within the energy system, as well as growing awareness of the authentic self. In The Authentic Self: Developing Awareness, an earlier blog post, I shared some of what I have learned about meditation practice. Let’s review the basics before moving into what I consider a more difficult part of meditation practice, that is, stillness meditation. See the light above your head. Meditation can be as simple as taking a deep breath and, when you exhale, sending your breath to your feet. You can take quick meditation breaks at work—never, of course, while you are operating machinery and needing to stay focused on what you are doing for safety sake or if you are responsible for the safety of other people. In those cases when you cannot change focus for a brief moment, then it is better to wait for your rest or coffee break. If, however, you work in an office, then a 20-second meditation break once or twice a day is all you will need to strengthen awareness and refresh your bodymindspirit. And there is an added bonus for your employer. You will think more clearly afterwards. 20-Second Meditation: Picture light above your head. As you inhale, see the light move into and through your head and down your spine. As you exhale, see the light move into the earth and send it down deeply. You may feel tingling in your feet, or you may feel nothing at all. Either way, stay in the moment briefly and then let it go. You have just grounded your energies, the first step in supporting the health of your bodymindspirit. Bring your attention back to what you were doing before you started and go on with your day. Meditation with Visualization: When you are home or in another comfortable place, sit comfortably in a chair with your hands resting on your thighs with palms facing up, or if you wish, in a lotus position with legs crossed and palms facing up, resting your hands on your legs for comfort. Remove your shoes. Wiggle your toes and feel the bottoms of your feet. Ground yourself, as described above, that is, complete a twenty-second meditation. Next, set the intention to be peaceful and relaxed. Begin breathing slowly and deeply. With your eyes closed think of a place that appeals to you—a mountain top, a garden, a path in the woods, a beach. See yourself there and allow the scene to unfold in your imagination. 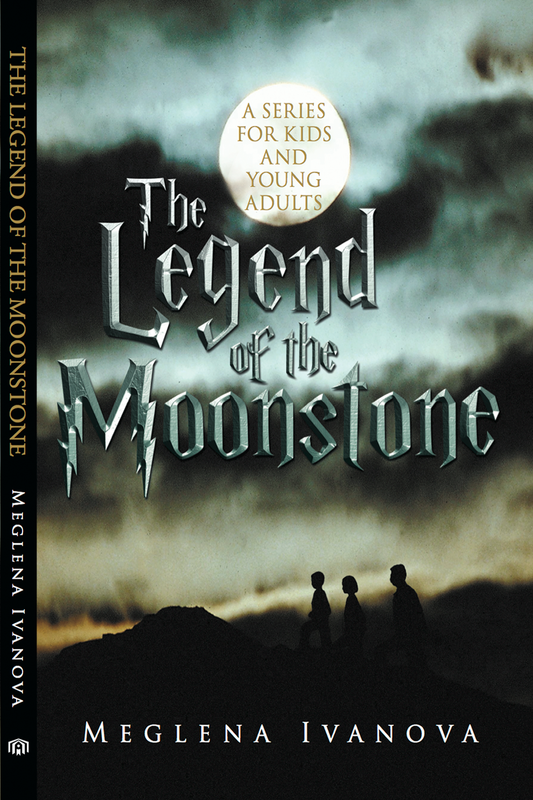 For example, if you chose a mountain top, you can begin by hiking a path to the top. Observe what you see during the hike. Animals, birds of a certain size and color, plants or flowers, waterfalls, any or all of these might come into view. Choose an animal, bird, plant or flower to bring to the mountain top. Sit down and allow your companion to communicate with you. You may see images or experience certain feelings. Don’t analyze. Just experience. When you are ready, make your way back to the bottom of the mountain. Return your breathing to normal. Wiggle your toes. Allow impressions of your experience to come forward. Did a certain color dominate? If red was dominant, you may need to strengthen your root chakra. If yellow, then your solar plexus may need support. Were there feelings you need to explore? The best way to explore these feelings is with a counselor, preferably a holistic counselor, who will see you in wholeness. Stillness Meditation: Once you become comfortable with the 20-second meditation and the meditation with visualization, then you are ready to practice stillness meditation. For a stillness meditation, you need a quiet environment where you can focus inward without interruption. Early in the morning before anyone else has risen is generally a good time. Sit in a comfortable chair with your feet on the floor, or if you wish, a lotus position. Ground yourself, that is, visualize a cone or column of light above your head. As you inhale, imagine you are drawing in the light and see it move through your body and into your feet. See your feet as pools of light. Imagine the light creating ever widening circles of light around your feet. As you exhale, send the light into the earth. Thought and breath are your body awareness tools. Send the light down deeply into the earth until you reach a place of light in the earth. Light exists everywhere and predominates over darkness. Connect your light with the light you visualize in the earth. You are grounded. Focus on your breathing. Picture your abdomen as a balloon. As you inhale, see the balloon fill with air, allowing your abdomen to expand. As you exhale, see the balloon deflate. Do this several times. Then set your intention to sit in stillness. You can use your own words, or these: “I sit in stillness to connect with my authentic self.” Then observe what happens. Thoughts will start to intrude. Observe what they are. Understand that they originate in the persona you have created and through which you experience and interact with the world. Surround each thought with light and send it into the earth. Then repeat your intention to sit in stillness. Sit quietly for as long as you can, continuing to surround each thought with light and sending it into the earth. You can time your session for ten minutes or more. Remember to love every thought that intrudes, and don’t be surprised at the nature of the thoughts and how many there are. Resistance will make meditation more difficult for you. Love will move you forward. Expect to be frustrated in the beginning. Just observe. If you judge yourself, surround the judgment with light and send it into the earth with love. 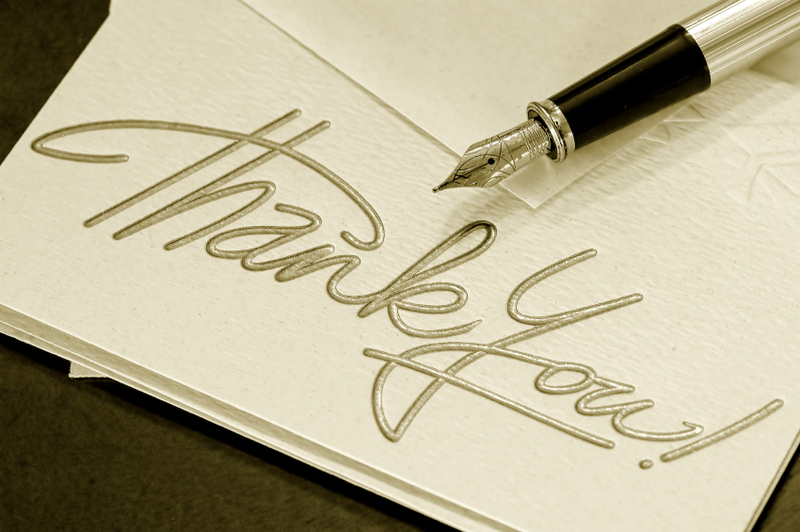 Then end your session with these closing thoughts: “I am grateful for this opportunity to observe myself. I close myself to all but my highest truth.” Then go about your day. Meditation practice is just that—practice. Set a time each day or a few times a week. Vary your practice with 20-second, visualization, and stillness approaches. 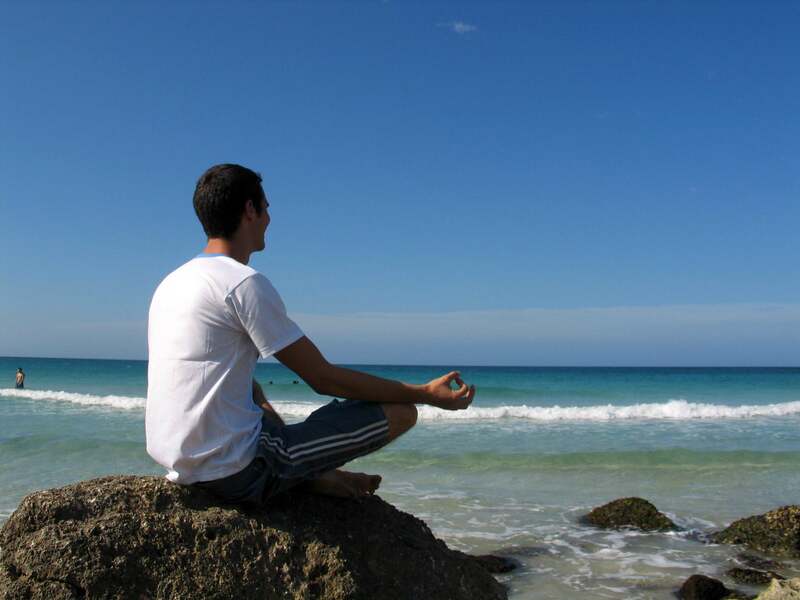 Meditation has been shown to have benefits for the bodymindspirit. It is a way to bring profound relaxation to the whole being, thus enhancing the body’s natural healing processes. Make your practice one of the tools you use to enhance your vitality and health. If you are curious about the intersection between developing awareness and higher consciousness, then check back for future visualizations and meditations. To learn more about the voice that talks to you when thoughts intrude, I recommend you read the untethered soul: the journey beyond yourself by Michael A. Singer. You will not be disappointed. It is the best discussion of levels of consciousness I have ever read. How many times a day do you catch yourself talking to yourself? None, you say? Then here’s a little test. The next time you are in the shower, bring your attention to your feet and hold your focus there. How long can you do it before your thoughts intrude? I really need to give Mom a call. We haven’t spoken since last Wednesday, and she’ll think I don’t love her….Why did Frank ask me to stop at the cleaners after work? Doesn’t he remember Dale’s soccer game starts at five? I’ll barely make it there as it is….I hope the boss is in a better mood today. He was really out of it yesterday….I have a paper due tomorrow. Why did I put off working on it? And the guys are getting together tonight to watch the game. I really need the extra credit. If I don’t turn that paper in on time, I’m screwed. If you are not talking to yourself, who is talking to you? When meditation was suggested to me several years ago as a way of helping my body to heal while I was in treatment for exposure to toxic chemicals, I had only a foggy notion of what meditation is. Coming of age in the 60s and 70s, I recalled reading about college students who smoked pot or ingested LSD and claimed to meditate, thus linking meditation for me with the use of a mind-altering substance. Faced, however, with the bizarre symptoms brought on by toxic exposure, I was ready to try anything. I started my meditation practice in the environmentally safe apartment I occupied while I was in treatment. I had been advised to sit quietly in the early morning hours and still my mind. How hard could that be? you might think. What if I told you it was next to impossible? I would sit there in silence, and within seconds the internal chatter would start. Who is in control here? I remember thinking. It isn’t I. That’s for sure. I’m sitting here listening to all this internal chatter while all I wanted was to be quiet. Totally frustrating! It took months of frustration to understand that I had taken the first step toward discovering my authentic or higher self through these early attempts at meditation. Coupled with the energy balancing treatments I was receiving, meditation was teaching me to observe myself from a new perspective, the perspective of a conscious being in a flesh and blood body. In addition to being crucial in helping my body to heal, not only from the toxic exposure but also from the many chronic illnesses that had made life difficult for me, that change in perception altered how I see the world and everything on it and in it. It led me down a path of ever expanding consciousness that changed me forever. Who has time for meditation? If you think you need to climb to the top of a mountain and seek solitude to meditate, think again. Meditation can be as simple as taking a deep breath and, when you exhale, sending your breath to your feet. Let’s learn a few basics. We inhabit bodies that are animated by energies within us and around us. Those energies respond to metabolic changes as well as, for instance, emotional states, food, drink, prescription or other drugs, exercise, thoughts, and breathing. The simple act of taking a deep breath with the intention to clear your mind and be aware of your body is a powerful tool for change. The energies within and around us form the human energy system. The major components of the energy system include vortices of energy called “chakras,” a Sanskrit word for “spinning wheel.” The major chakras that we generally teach include the root or base (first chakra, dominant color: red), the sacrum (second chakra, dominant color: orange), the solar plexus (third, dominant color: yellow), the heart chakra (fourth chakra, dominant color: green), throat chakra (fifth chakra, dominant color: sky blue), third eye (sixth chakra, dominant color: indigo), and crown (seventh, dominant color: transparent white or lavender). Minor vortices dot the body and number twenty-one. Energy flows through and around the body in major and minor pathways. The flow that is usually learned first is the simplest. It begins just above your head, flows through the head, down the spine, and exits through the perineum and into the earth. When I first learned to use this flow, I think of it as the primary flow, to ground or “earth” myself, I felt tingling in my feet. That is desirable because, in fact, this major flow moves also through the legs and feet. Now that you know the basics, let’s try a twenty-second awareness meditation. Visualize, or imagine, the primary flow in your body. Picture the light above your head. As you inhale, see the light move into and through your head and down your spine. As you exhale, see the light move into the earth and send it down deeply. You may feel tingling in your feet, or you may feel nothing at all. Either way, stay in the moment briefly and then let it go. You have just grounded your energies, the first step in supporting the health of your bodymindspirit. Bring your attention back to what you were doing before you started and go on with your day. You can practice these twenty-second meditations until you are drawn to a longer session. Then, at home or in another comfortable environment, instead of jumping into a more difficult stillness meditation, try this visualization exercise. Sit comfortably in a chair. Remove your shoes. Wiggle your toes and feel the bottoms of your feet. Ground yourself, as described above, that is, complete a twenty-second meditation. Next, set the intention to be peaceful and relaxed. Begin breathing slowly and deeply. With your eyes closed think of a place that appeals to you—a mountain top, a garden, a path in the woods, a beach. See yourself there and allow the scene to unfold in your imagination. For example, if you chose a mountain top, you can begin by hiking a path to the top. Observe what you see during the hike. Animals, birds of a certain size and color, plants or flowers, waterfalls, any or all of these might come into view. Choose an animal, bird, plant or flower to bring to the mountain top. Sit down and allow your companion to communicate with you. You may see images or experience certain feelings. Don’t analyze. Just experience. When you are ready, make your way back to the bottom of the mountain. Return your breathing to normal. Wiggle your toes. Allow impressions of your experience to come forward. Did a certain color dominate? If red was dominant, you may need to strengthen your root chakra. If yellow, then your solar plexus may need support. Were there feelings you need to explore? The best way to explore these feelings is with a counselor, preferably a holistic counselor, who will see you in wholeness. If you are curious about the intersection between developing awareness and higher consciousness, then check back for future visualizations and meditations. To learn more about the voice that talks to you, I recommend you read the untethered soul: the journey beyond yourself by Michael A. Singer. You will not be disappointed. It is the best discussion of levels of consciousness I have ever read.